If your kids fit the profile of thrill-lovin’ adventurers with a passion for the great outdoors and hoon in their veins, then pay attention. 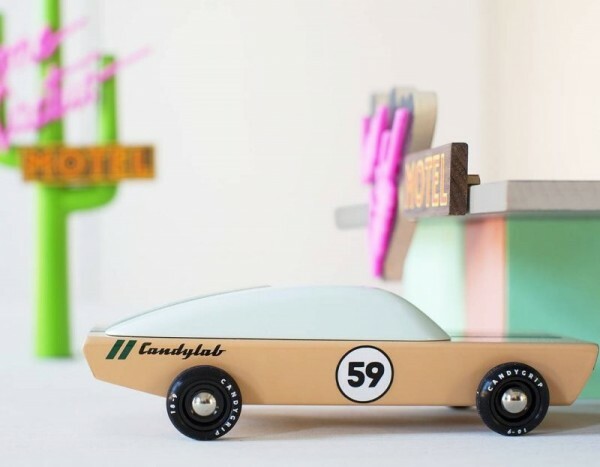 The crew at Candylab have whipped out their sixties inspiration once again and thrown it into three brand new cars. 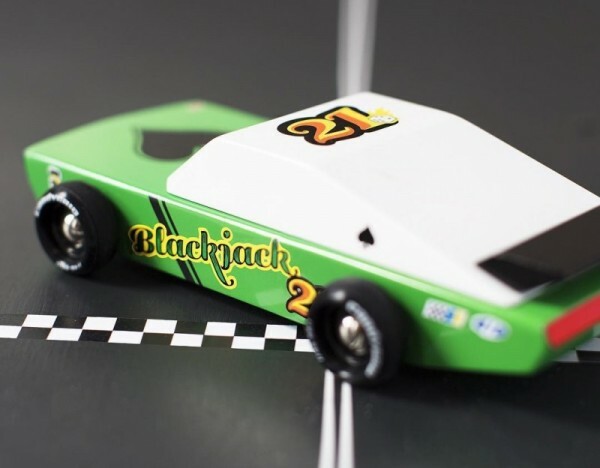 We introduce Blackjack, The Ace and Pioneer – mid-century Americana toy cars that are uber cool and tough as nails. 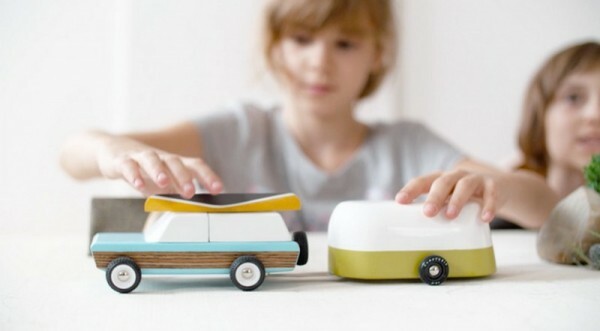 It’s little wonder Candylab smashed their Kickstarter funding goals for their third project well ahead of time – these are some rockin’ wheels. Like the cars of earlier rounds, BlackJack, The Ace and Pioneer are all handcrafted vehicles, made from solid beech lumber with precision wheel pins, plastic rims and silicon tyres. For real. The Pioneer has to be our pick of this bunch, bringing to mind sixties road-tripping with the sun shining and Aretha playing. 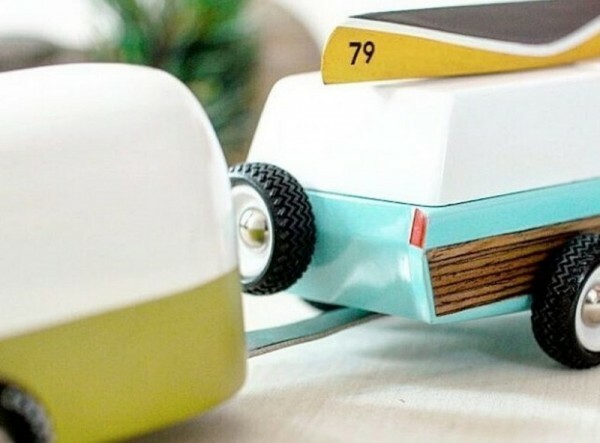 Incorporating three micromagnets hidden deep within the wood, this cracking ride makes tidy work of carrying a canoe or towing the new green camper, without it falling off in the fast lane. Hoon (don’t dawdle) over to Kickstarter to get your hands on this brilliant motoring trio. A pledge of US$30 will get you Blackjack, $32 will land you The Ace, and you are looking at $38 for Pioneer. A pledge of $125 will get you all three cars, plus the retro green camper. There are a few cheaper early bird offers still up for grabs, but you’d better get over there toot suit!